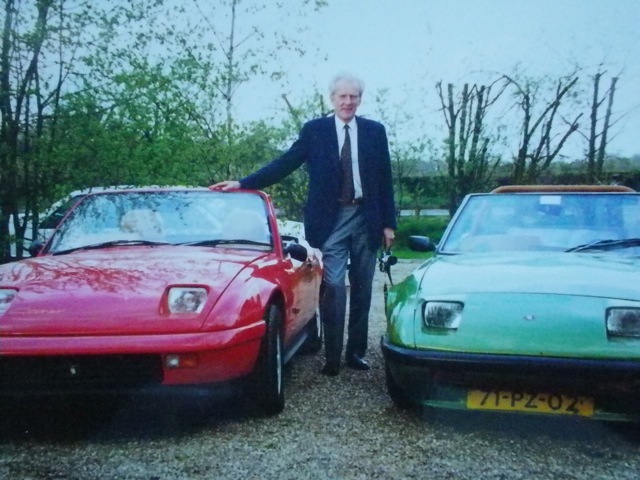 Back in the early 70’s I was persuaded to stop making other people rich by creating vehicles for them and start doing it for myself. So I started making 20’s style Delivery Vans, then Jaguar convertibles and estate cars and all sorts. 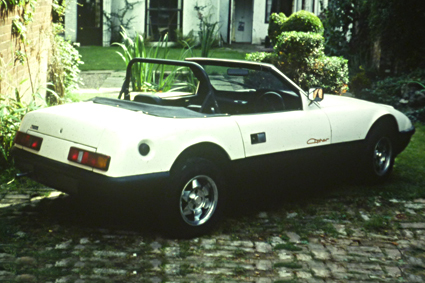 Then in 1978, I decided to fill the void being left by the demise of the MG Midgets and Triumph Spitfires with a new all-British sports car. My interest was and is always in high volume, so I talked to the banks who said they would only support me if I could show them a waiting list for something similar. The only waiting list was for Morgans, so I designed a sort of updated retro style, the Stevens Sienna, with Reliant mechanicals. It got a lot of press attention, but it was not what I wanted to do and not what was needed. So I then ignored the banks and in 1979 designed and built the Cipher. 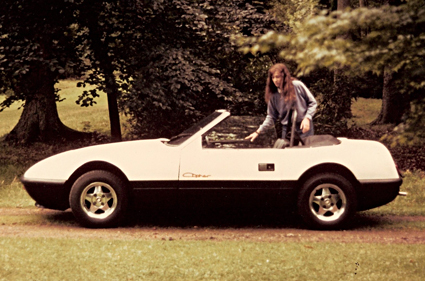 This was shown at the 1980 Birmingham International Motor Show. 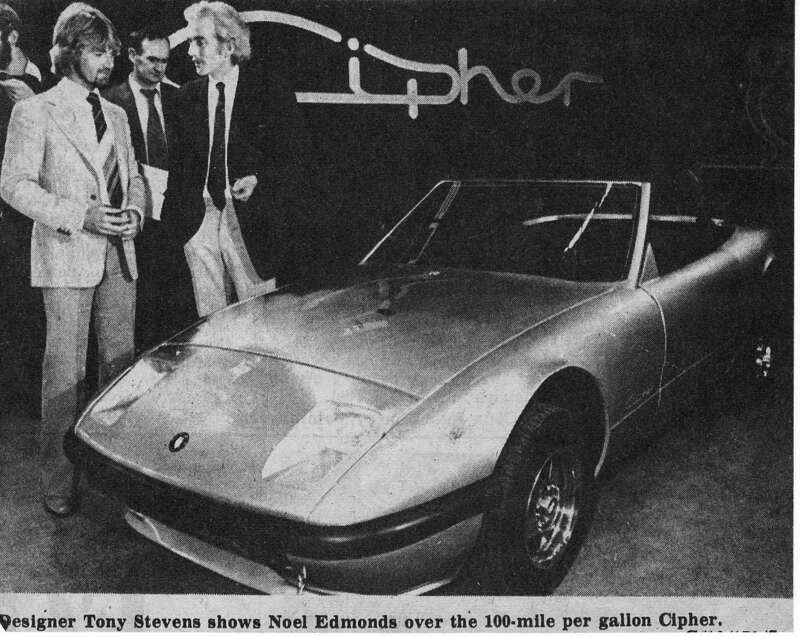 The Cipher got rave reviews from all the press, and dealers committed themselves from all over the country and abroad. However despite all this interest, upon going back to the banks for funding we got nothing. During the motor show, a team from Japan spent most of the show on our stand. Within 3 months of this visit, they had started a development programme with mission statement that looked very much like our press release. To date, they have sold one million of them, (think Mazda MX5 Ed) and this shows the viability of the Cipher design. Peter Bird and George Elliott on the show stand. It is a great pity as we are still the most creative nation in the world, in design and many other areas including banking, but we just don't seem able to join them up to get the national benefits we deserve. Only 6 or 7 of the original Ciphers survive and at present most of them are being restored. Hopefully we can get them all together for an event at Goodwood. Since the original Cipher there have been many reincarnations, with potential manufacturers in America, Russia, lndia, and most recently, Malaysia. The Malaysian Cipher is larger than the original with front wheel drive, both open and coupe models exist, with Proton / Mitsubishi power train. 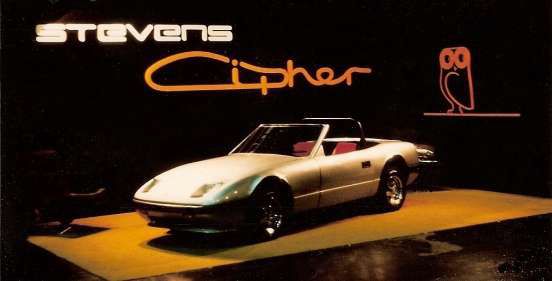 There is currently pressure to produce this latest Cipher, possibly with an electric drive as the Stevens Company is one of the leaders in this field. We’ll see !! 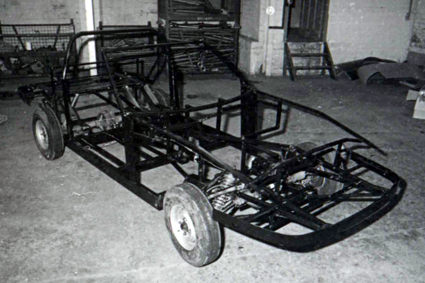 An early Mark 1 Cipher chassis at the Warwick factory. Later cars had 6 spoke wheels for unknown reasons. 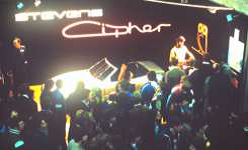 Cipher number 3 outside Reliants factory in 1995. 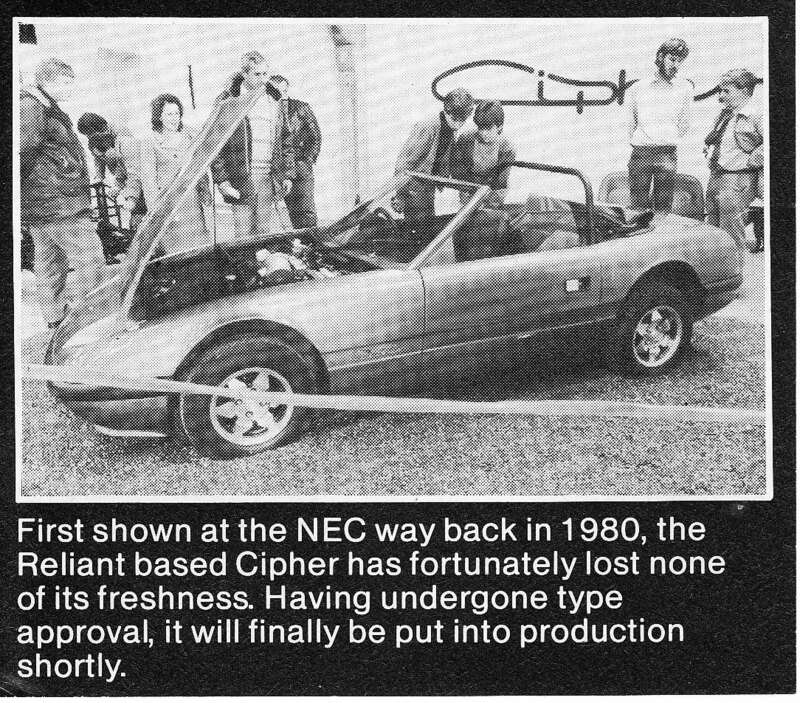 Apparently Peter Hall of Reliant borrowed the Cipher from it's then owner T Touw for evaluation. They were looking for something new and decided to revisit something old, (in 1981 they had originally built Cipher 4 and 5 for evaluation). 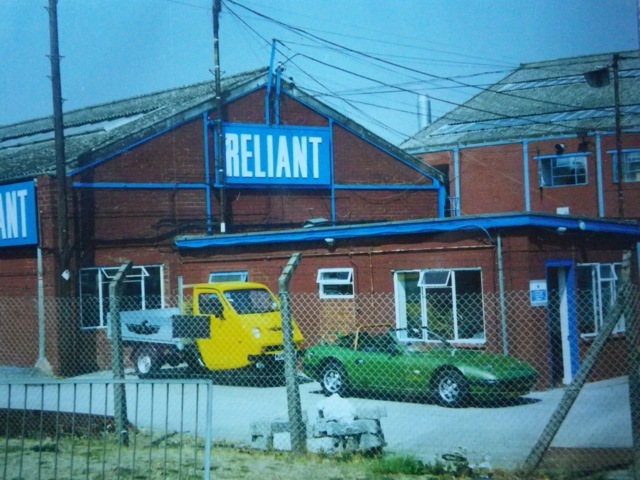 A few months later Reliant was in financial difficulties again.